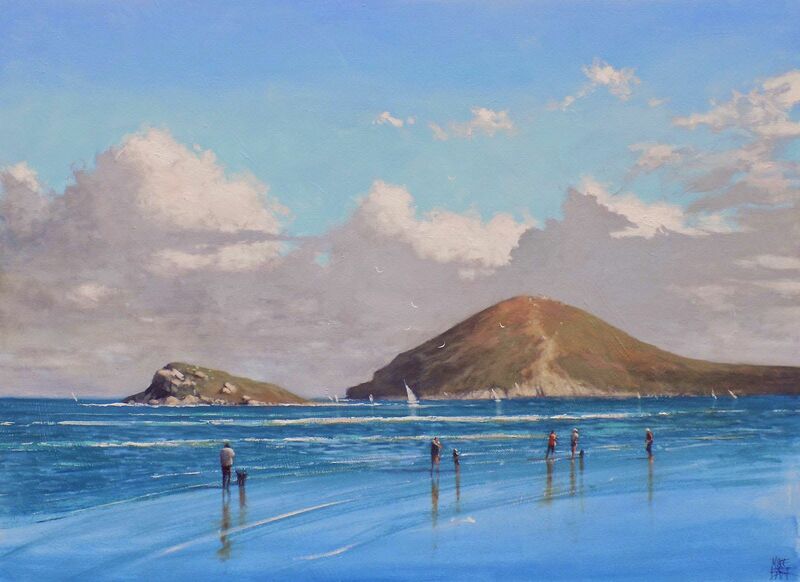 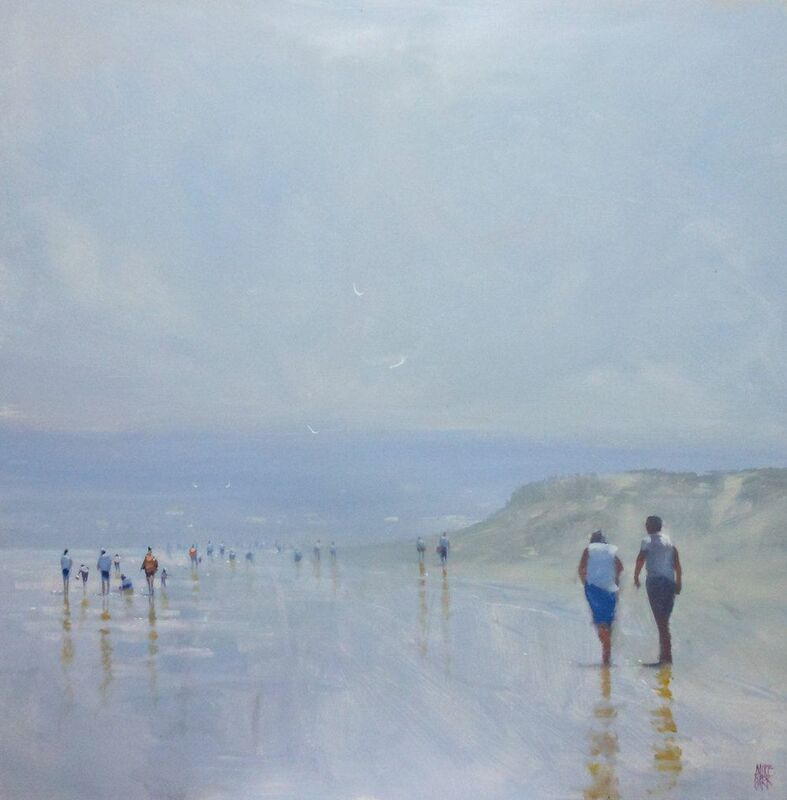 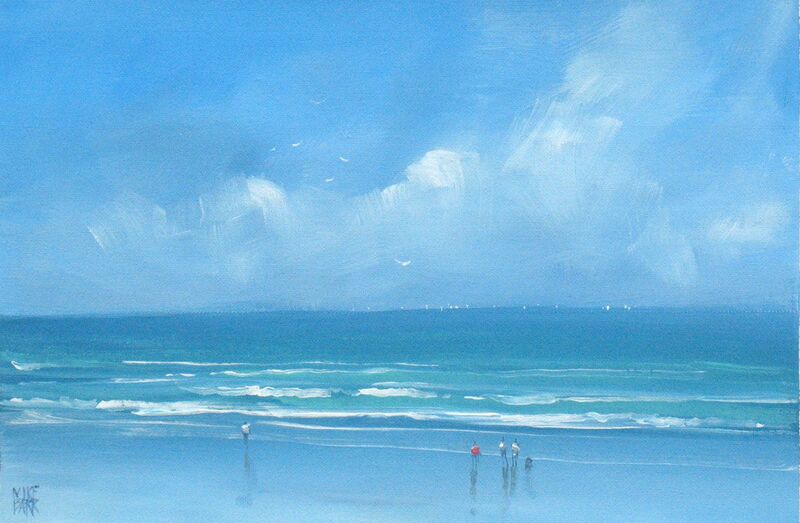 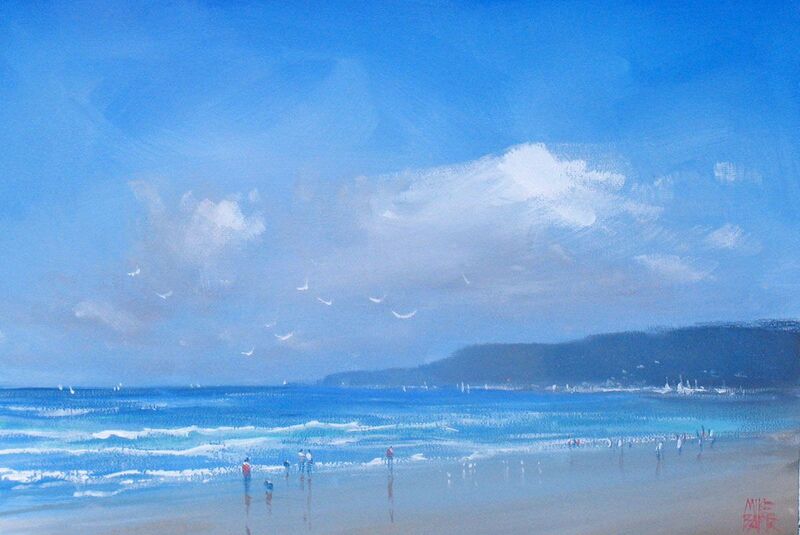 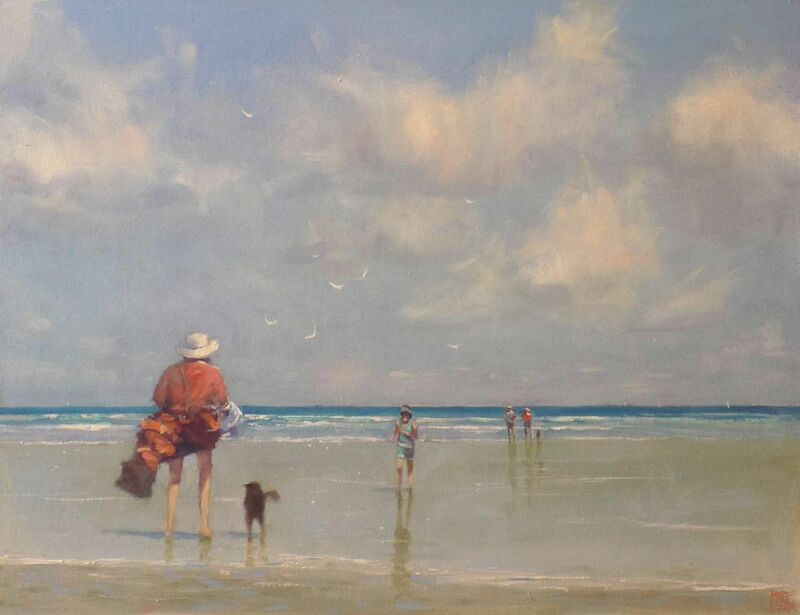 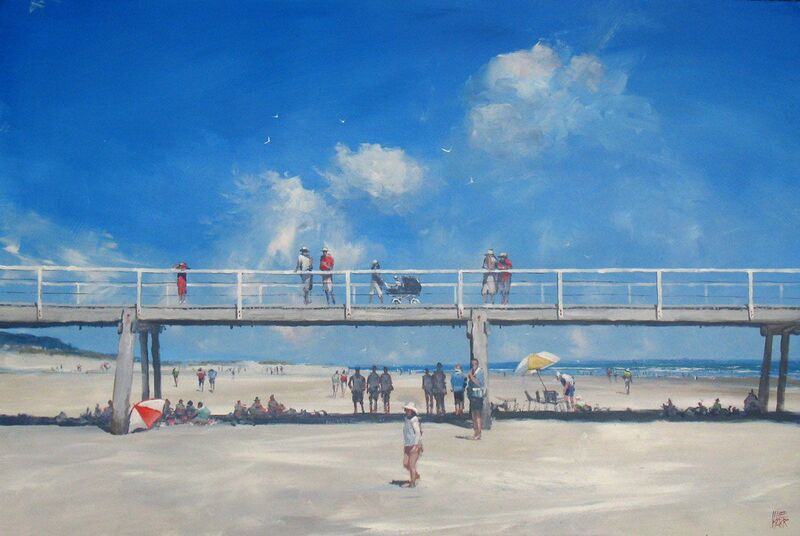 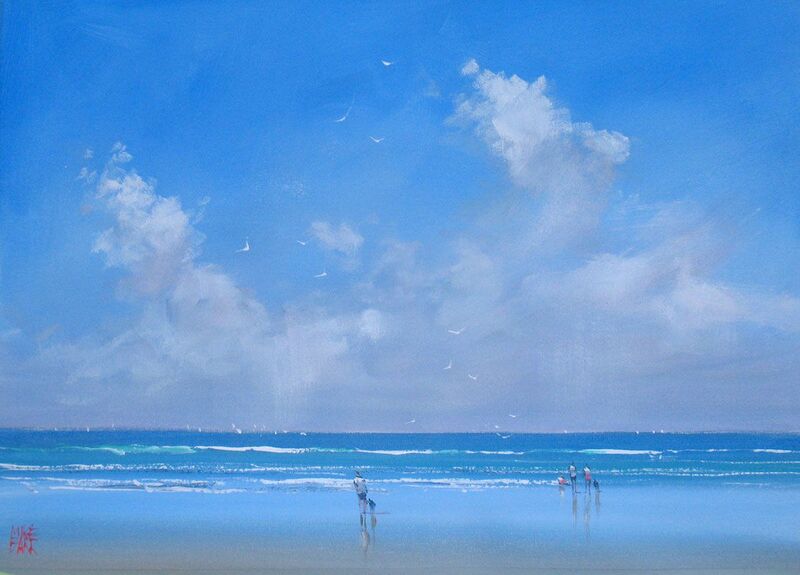 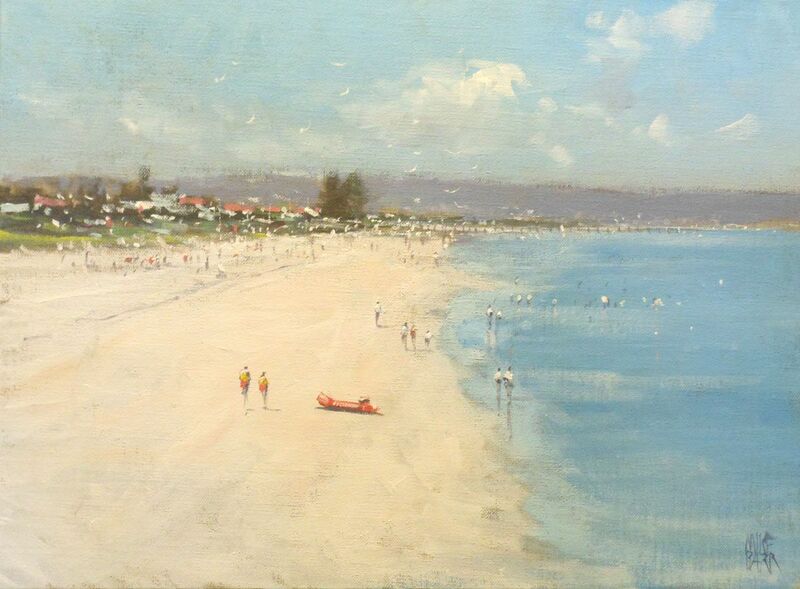 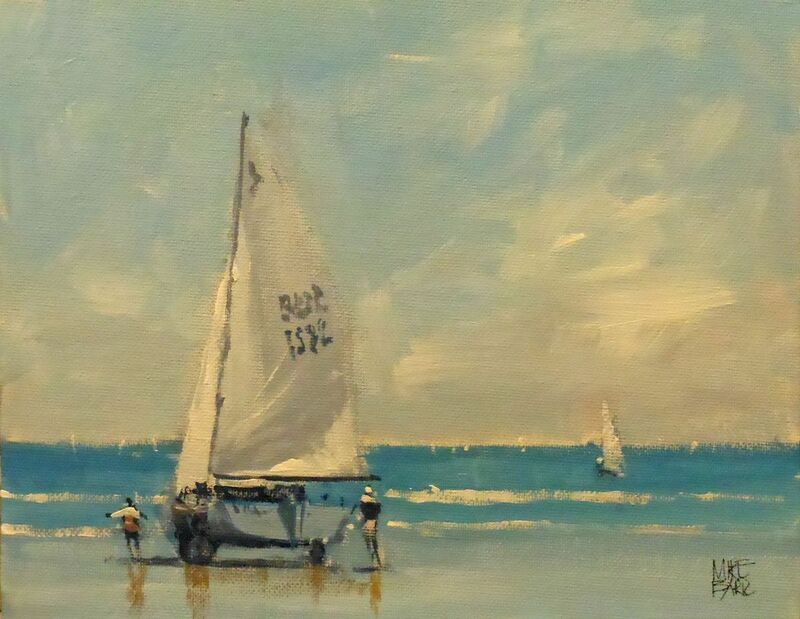 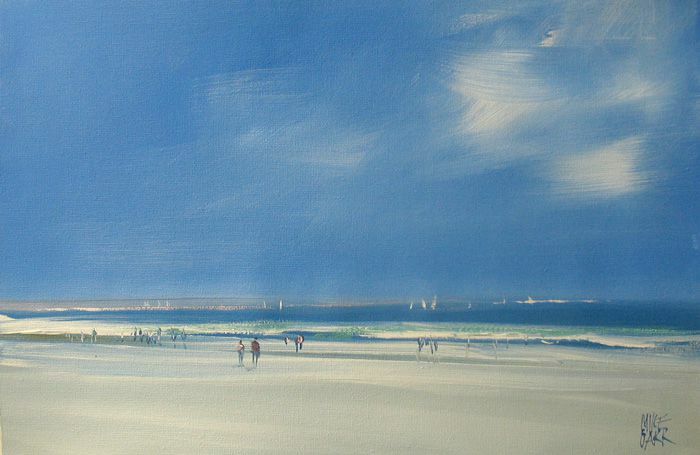 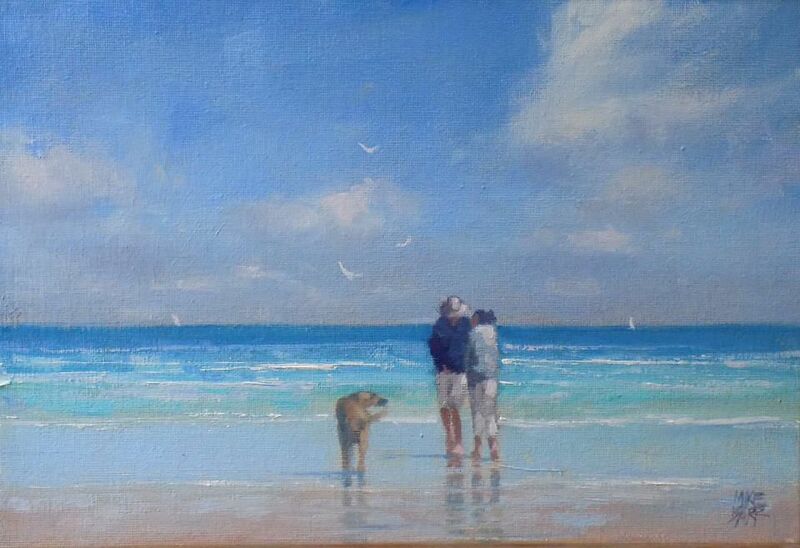 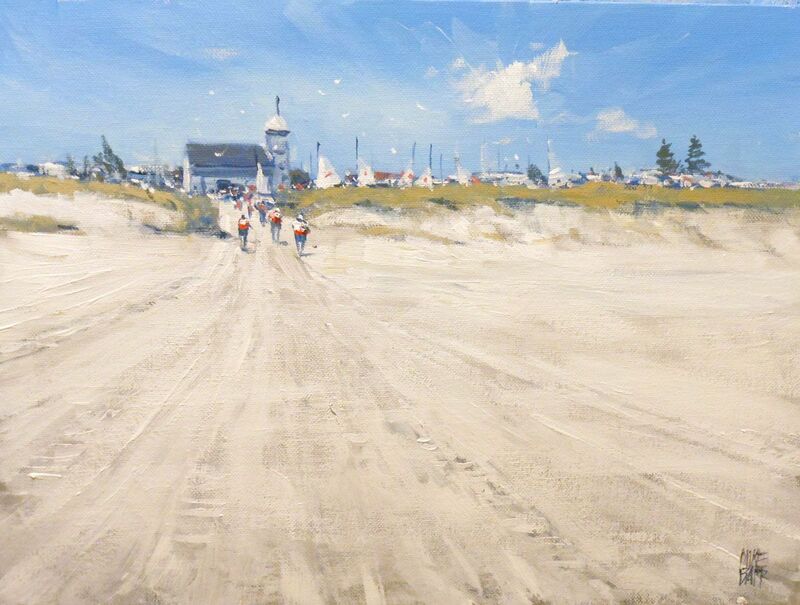 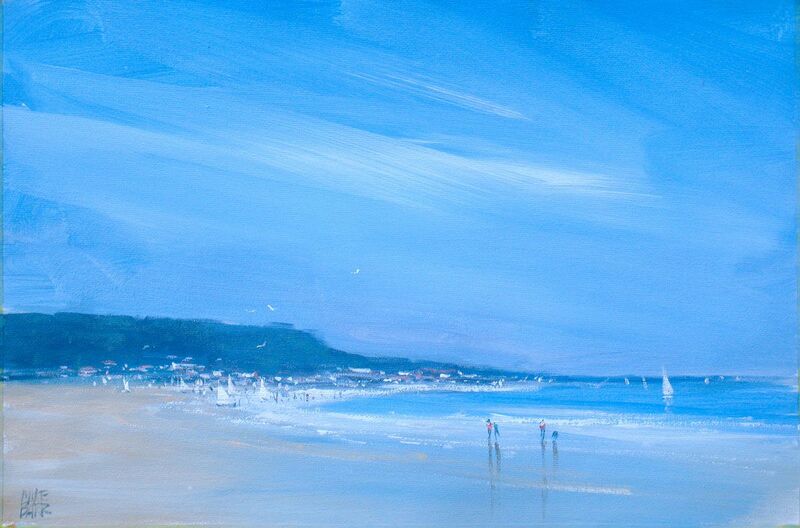 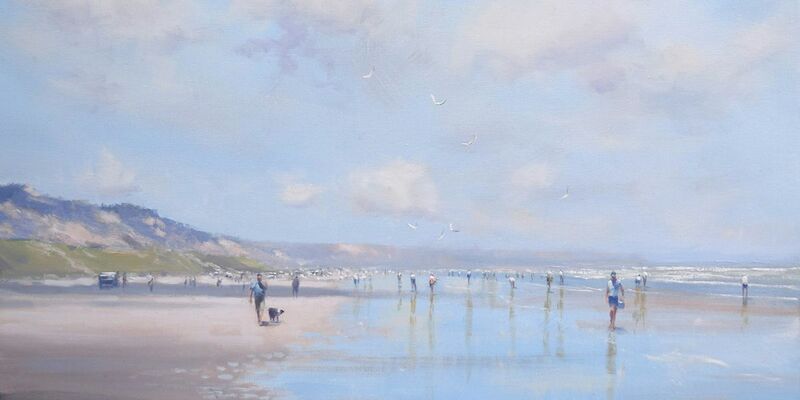 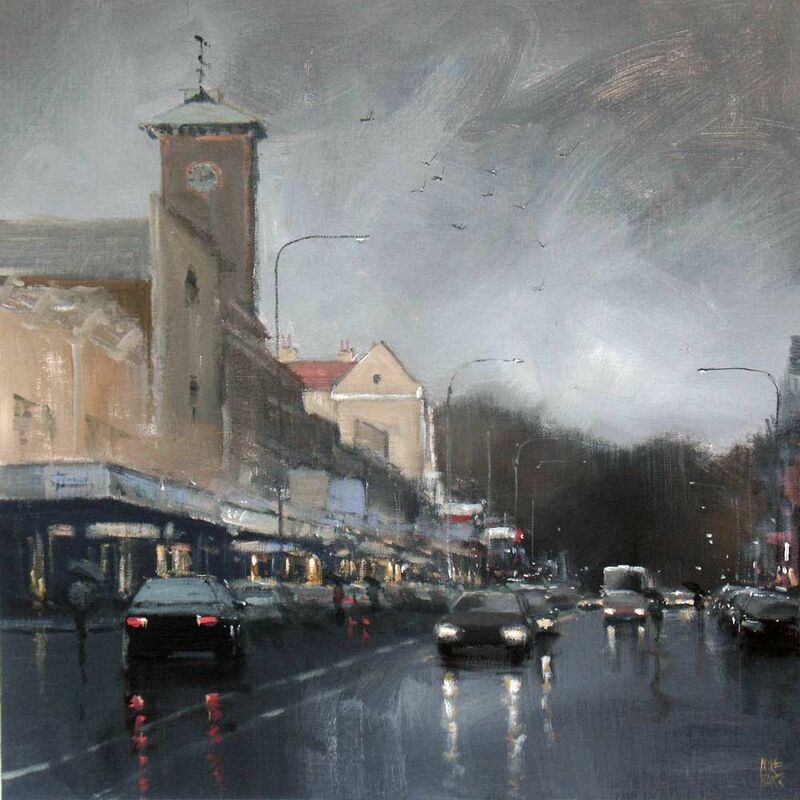 Mike is an Adelaide-based impressionist painter with a penchant for rain in the city and beaches. 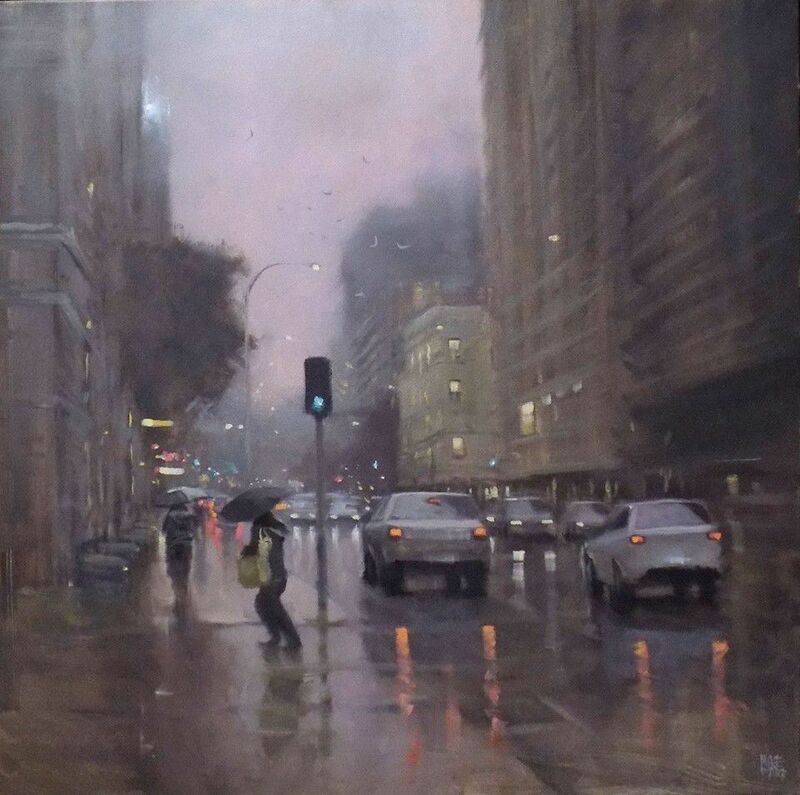 He started his artistic life as a potter and participated in an exhibition with Adelaide’s best when only 19 years of age. 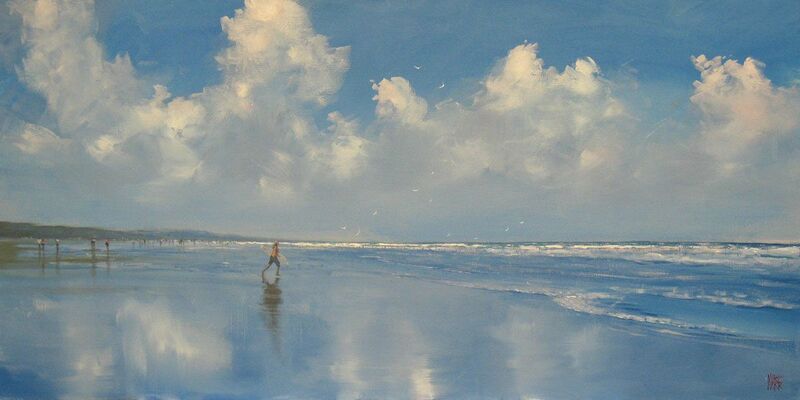 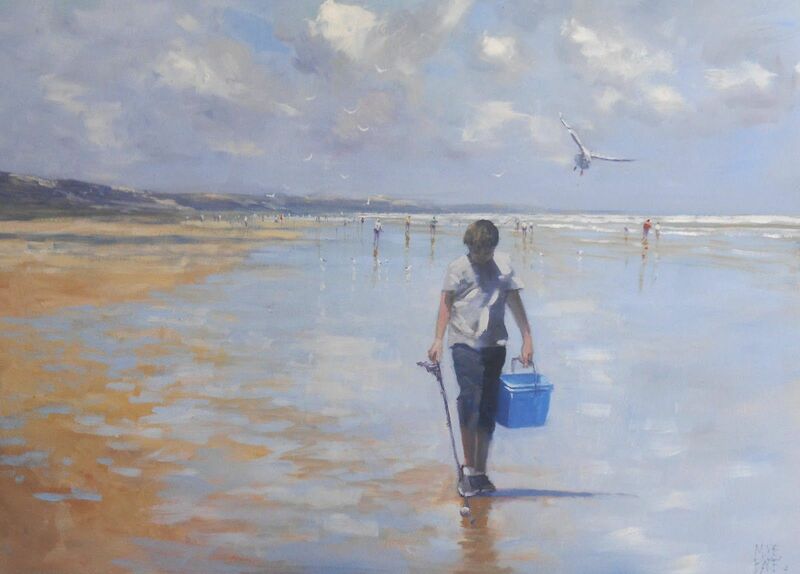 It is just over 10 years ago since he started painting in acrylics and oils and has gained over 50 awards during this time. 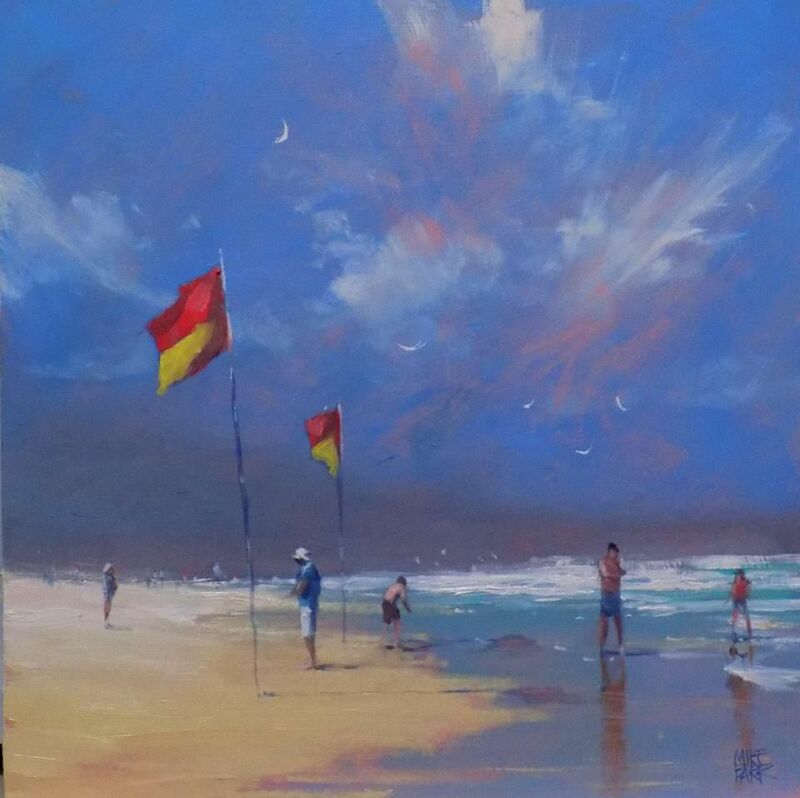 The beautiful beaches of Adelaide and the state of South Australia have inspired Mike to convey their sense of wonder through his work. 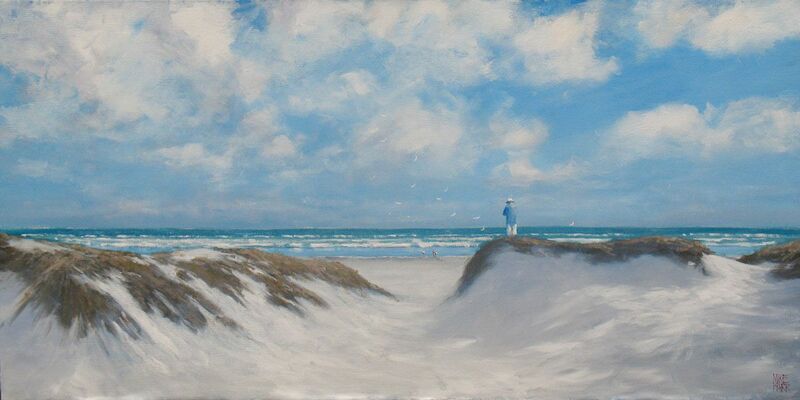 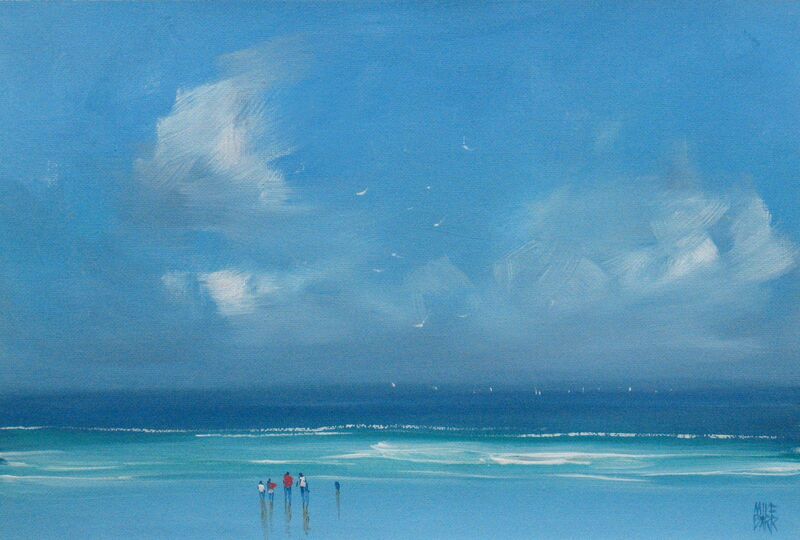 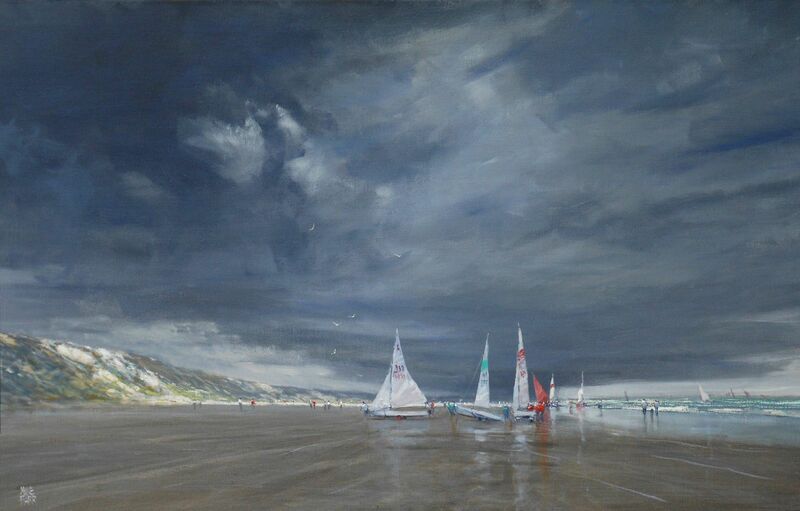 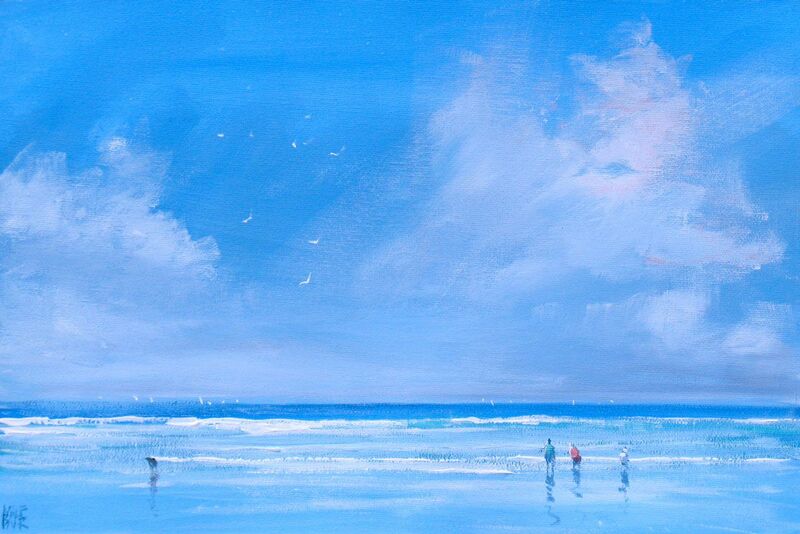 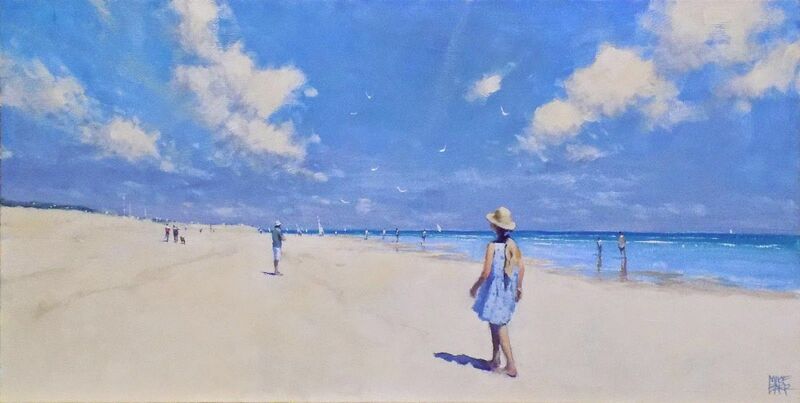 He believes that the sky holds the key to most paintings, particularly at the beach where the sky is uninterrupted by buildings – "it’s here that we experience a real sense of space". 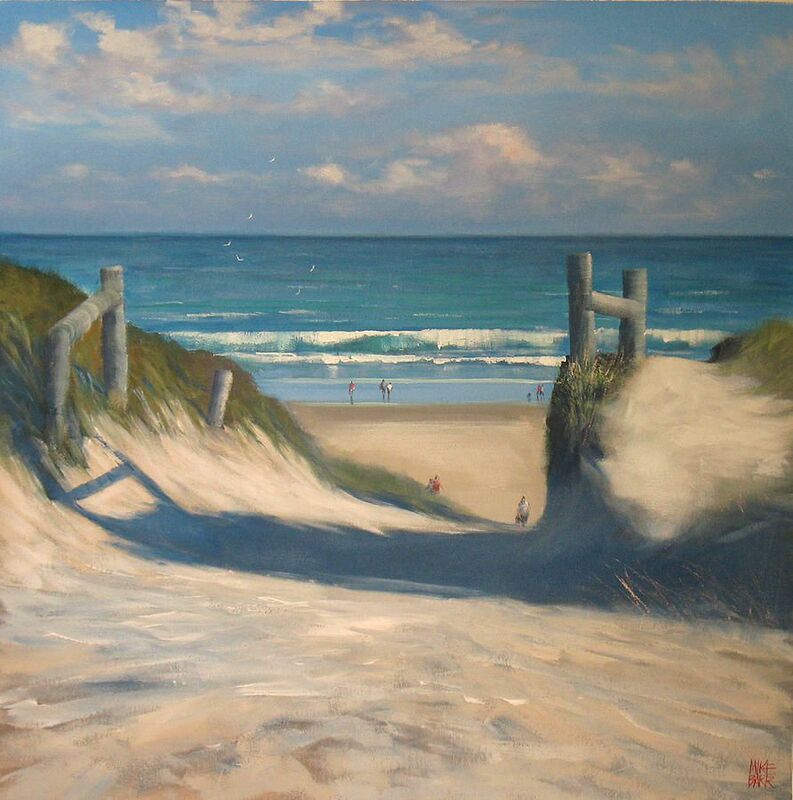 In 2008 his work "Last wave" was chosen as part of and expansive work on surfing ‘The Surf Collection’ in France by world surfing guru Gerard Decoster. 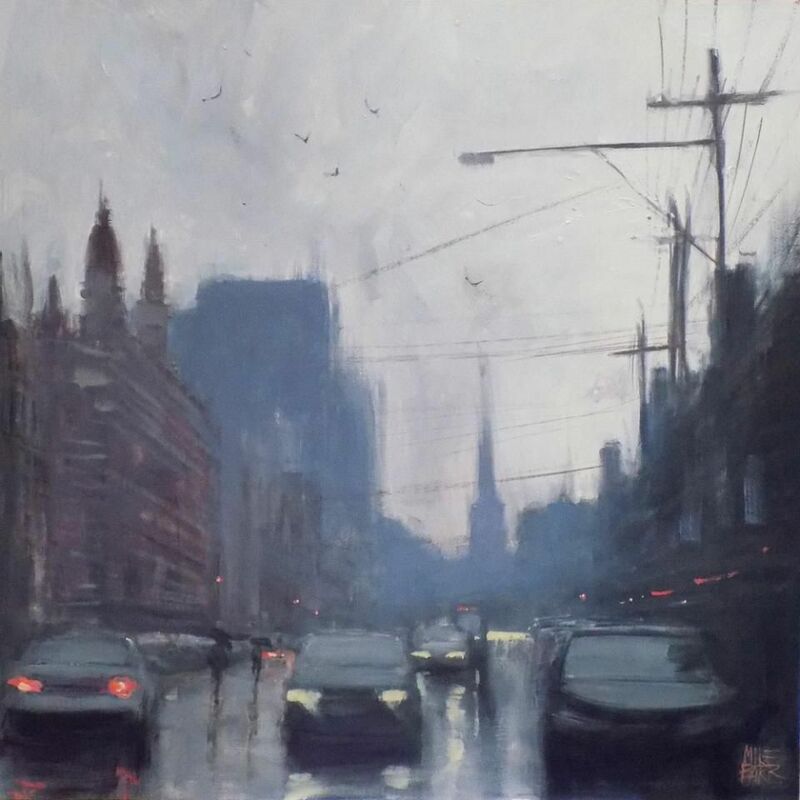 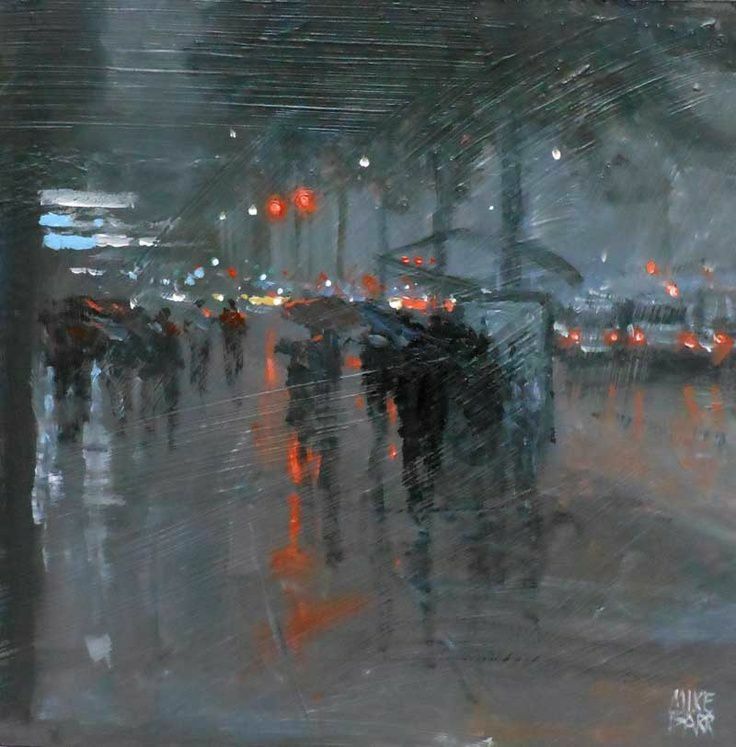 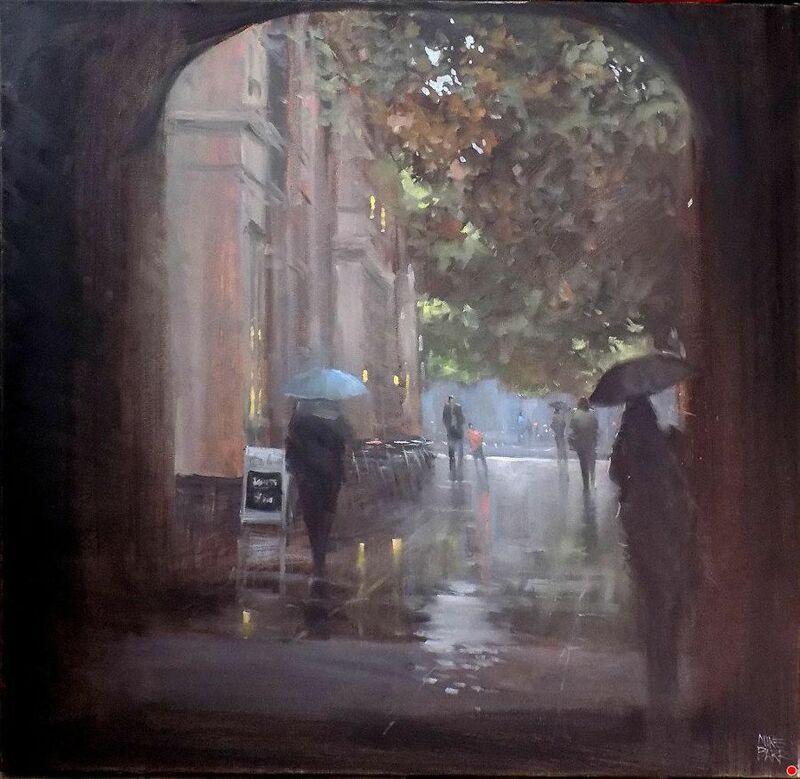 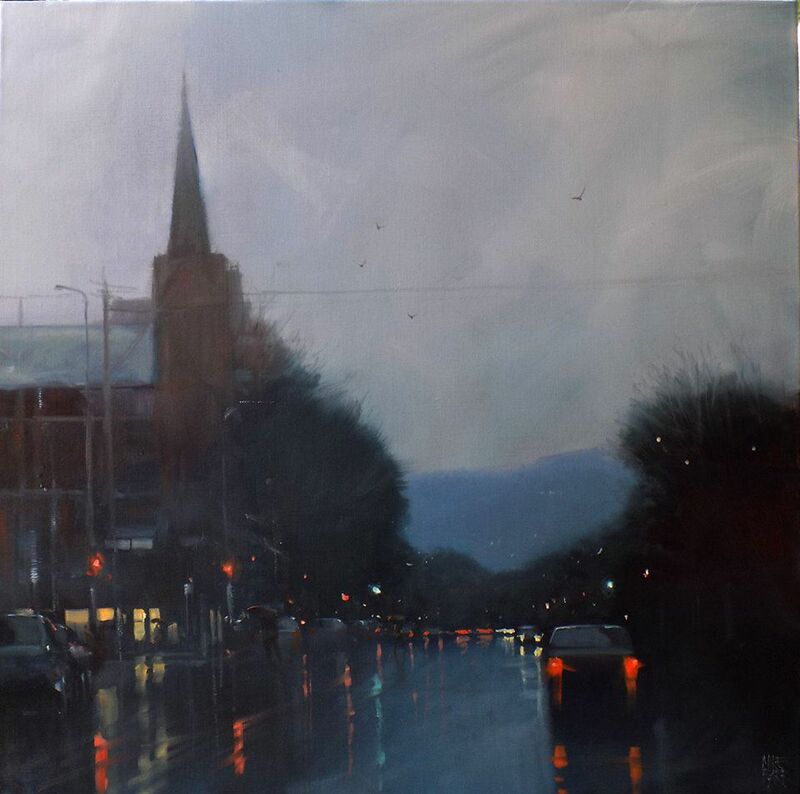 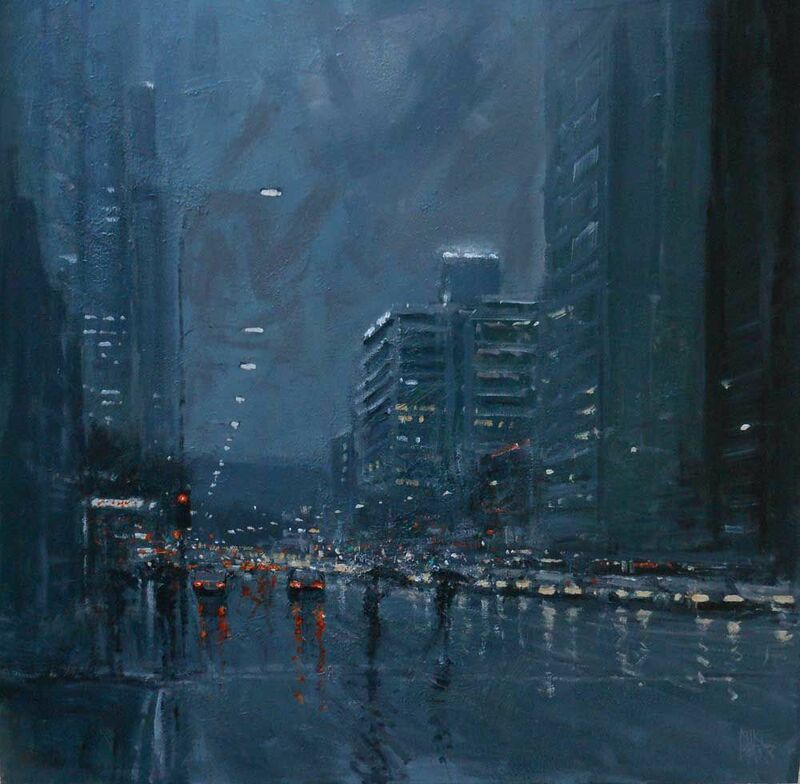 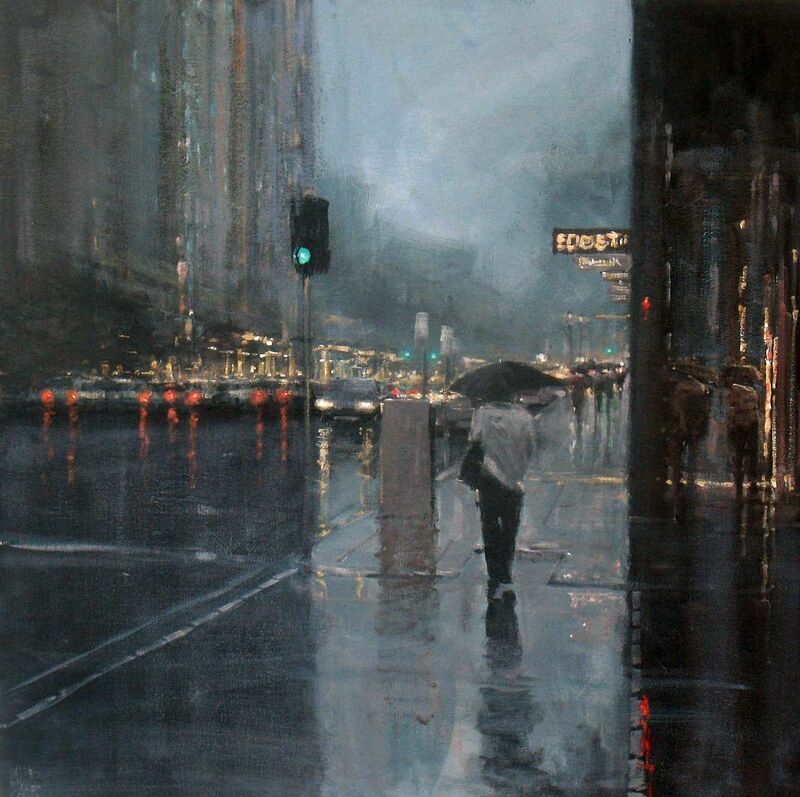 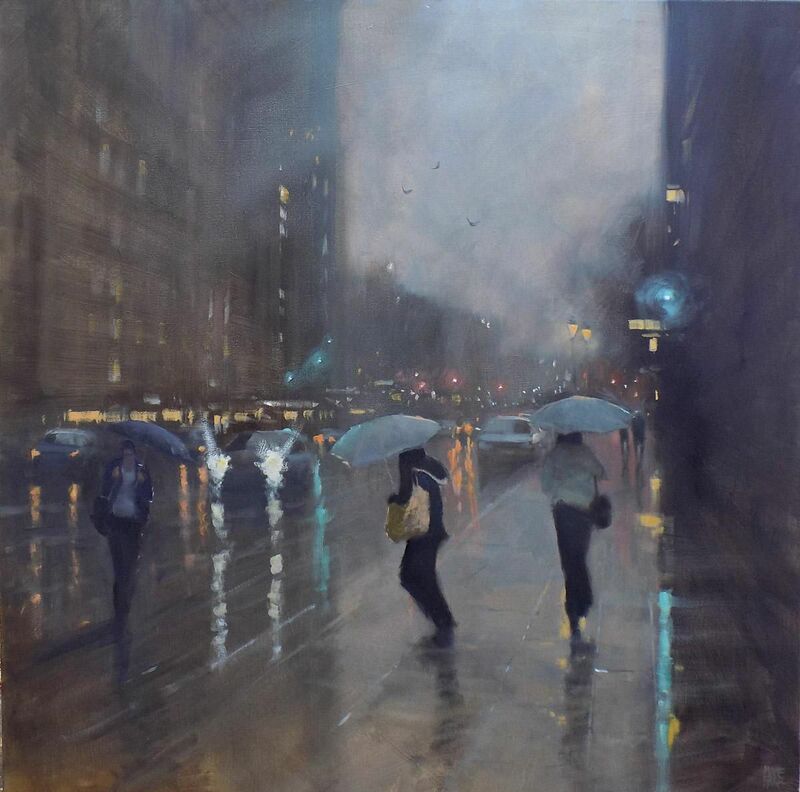 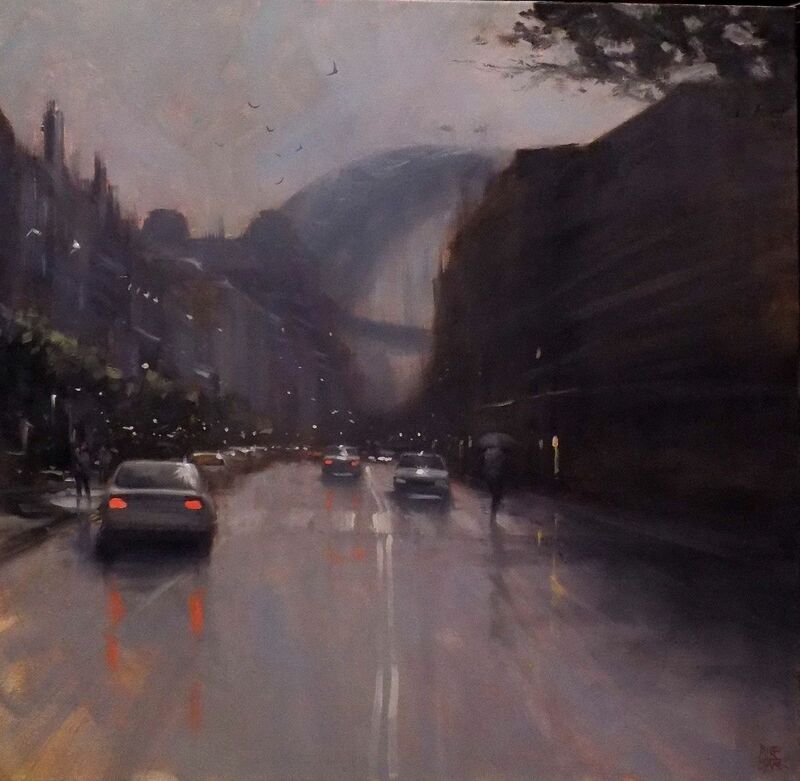 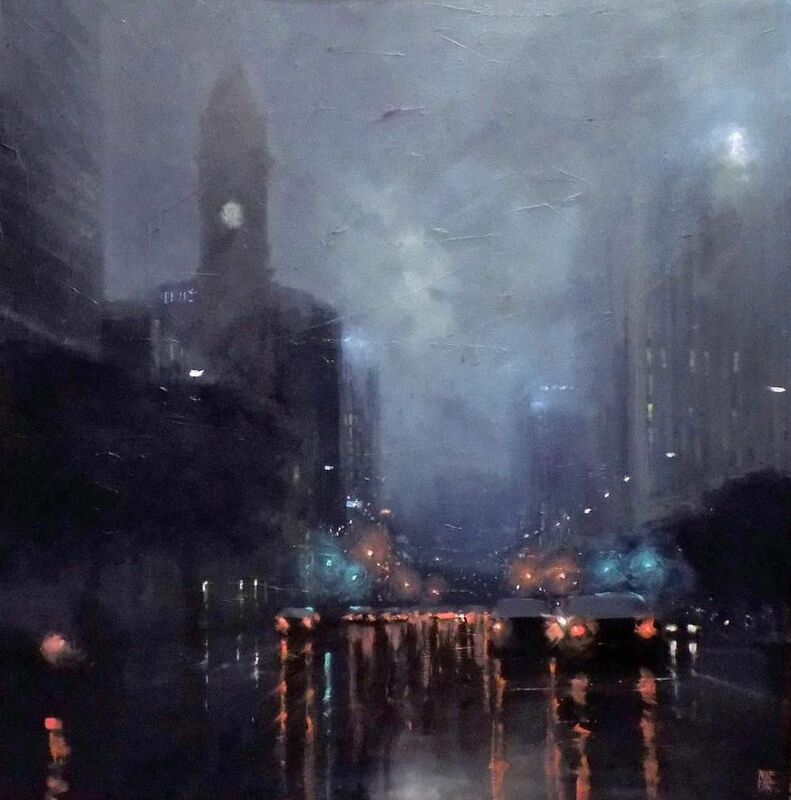 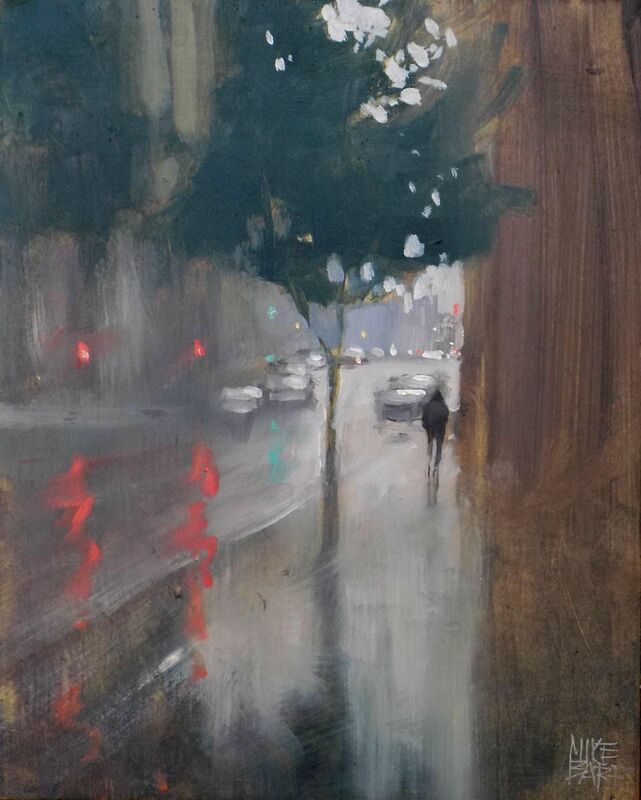 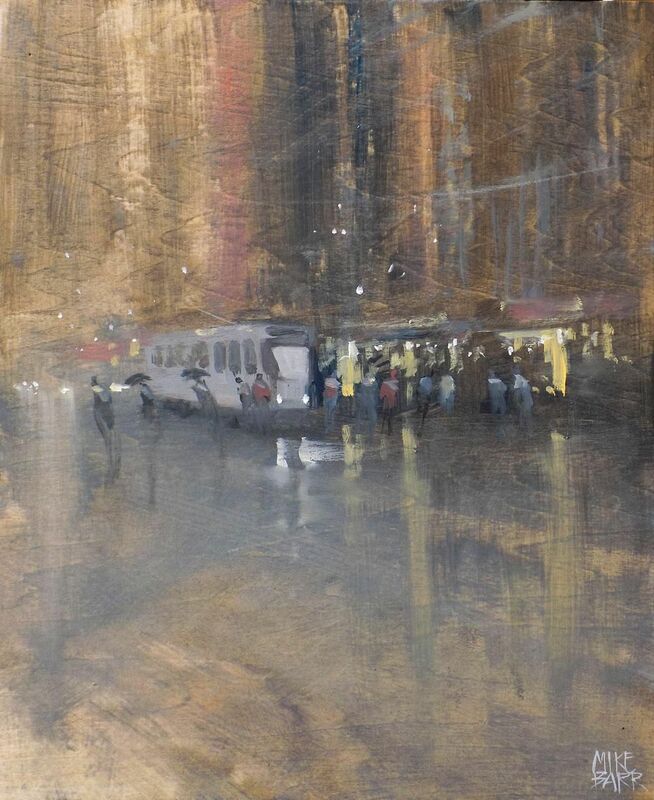 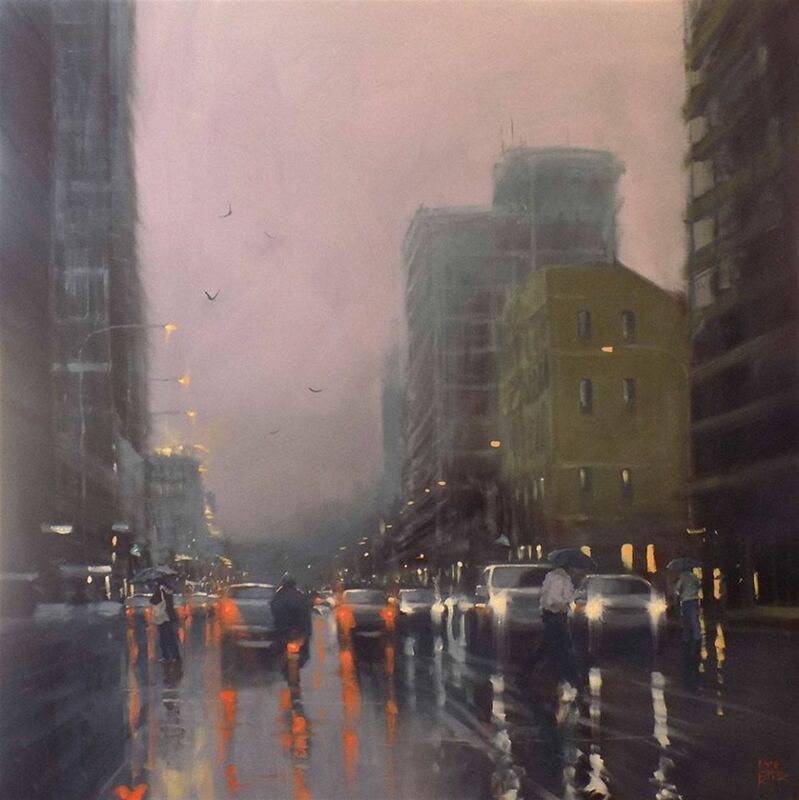 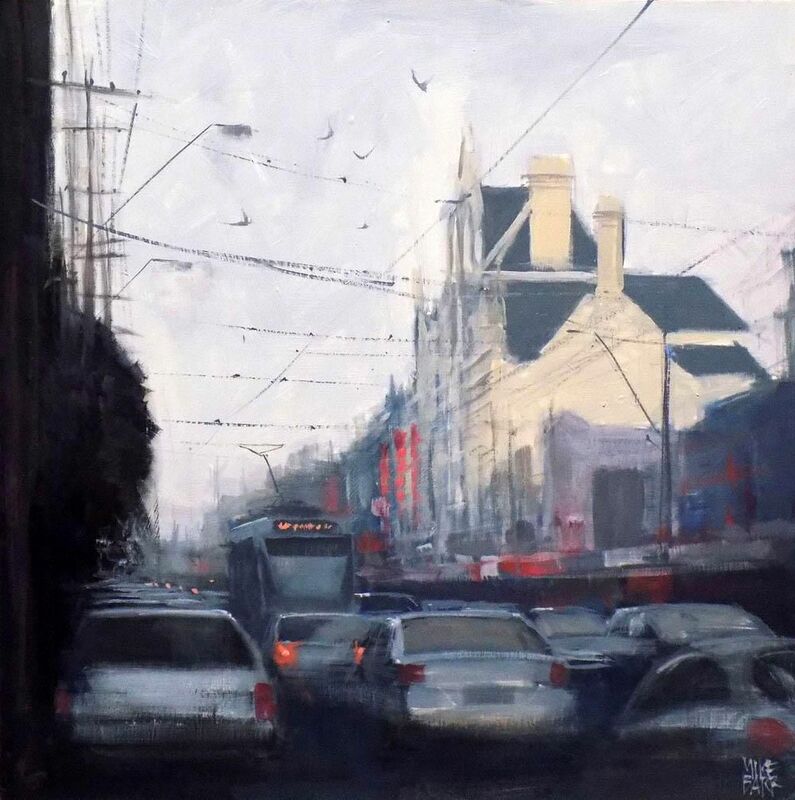 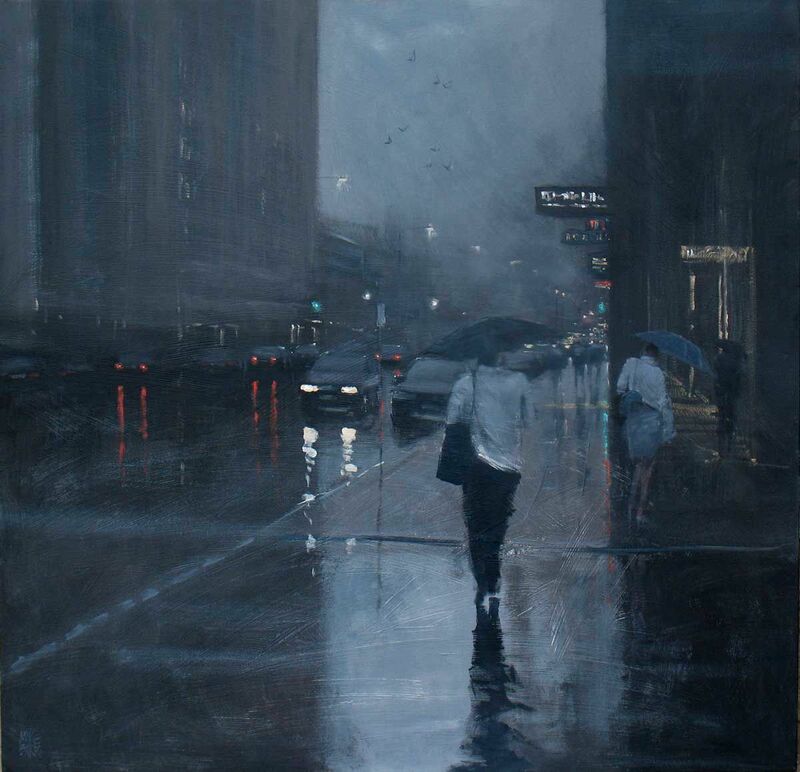 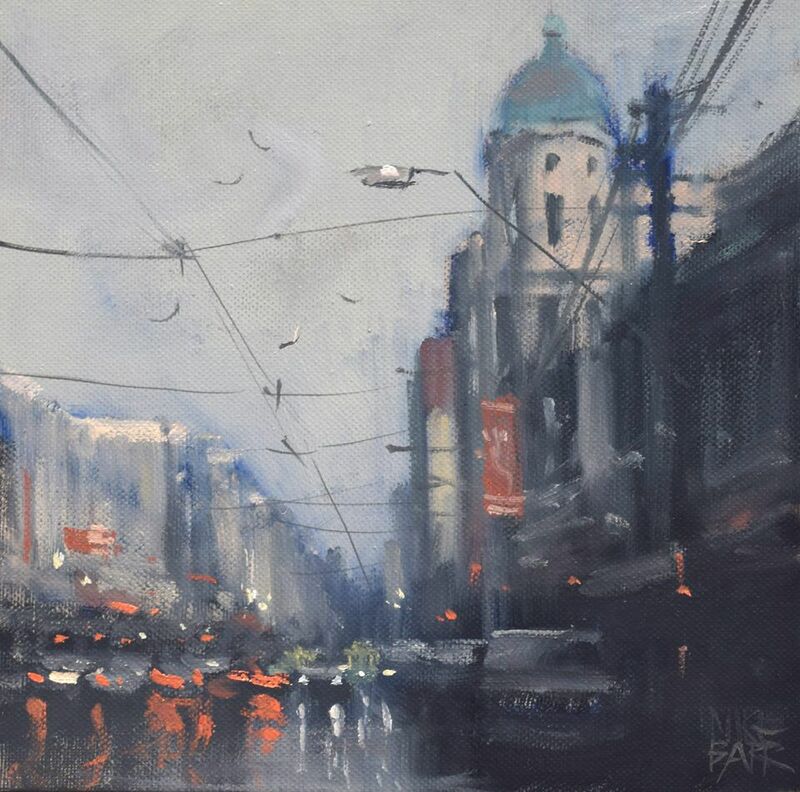 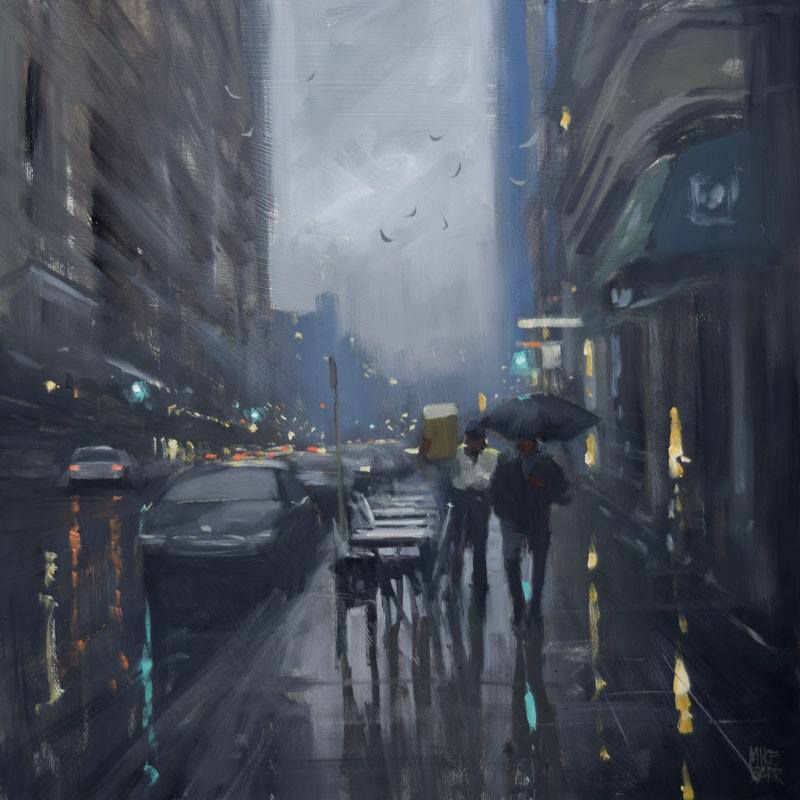 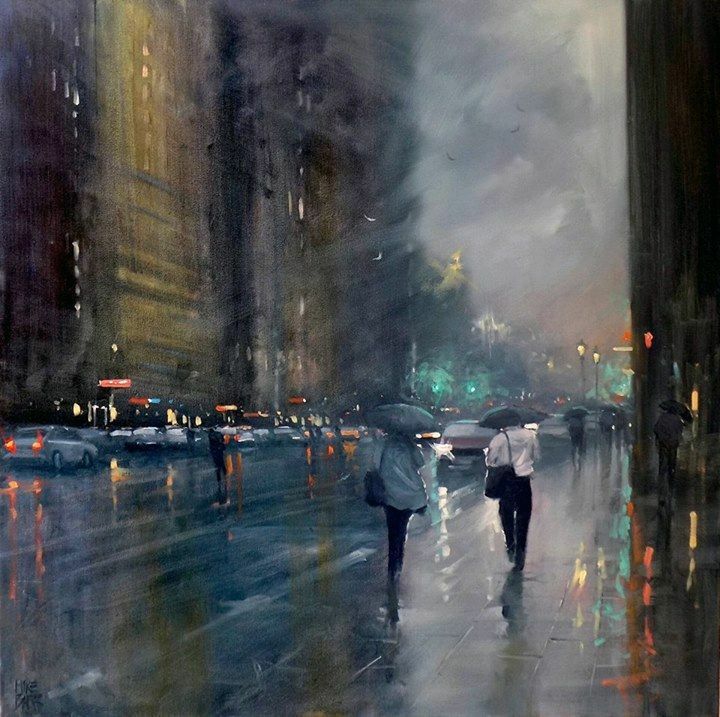 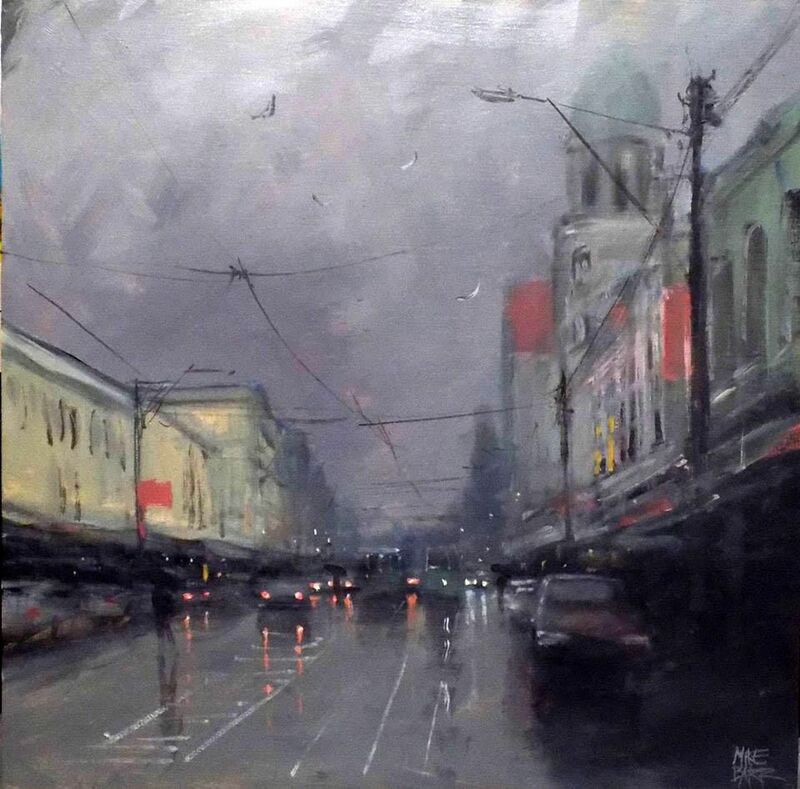 Mike is well-known in Adelaide and Melbourne for his rainy street scenes and was recognised by being part of a publication ‘The Art of Being Melbourne’ in which the city’s history from gold-rush days through to today is recorded through its artists. 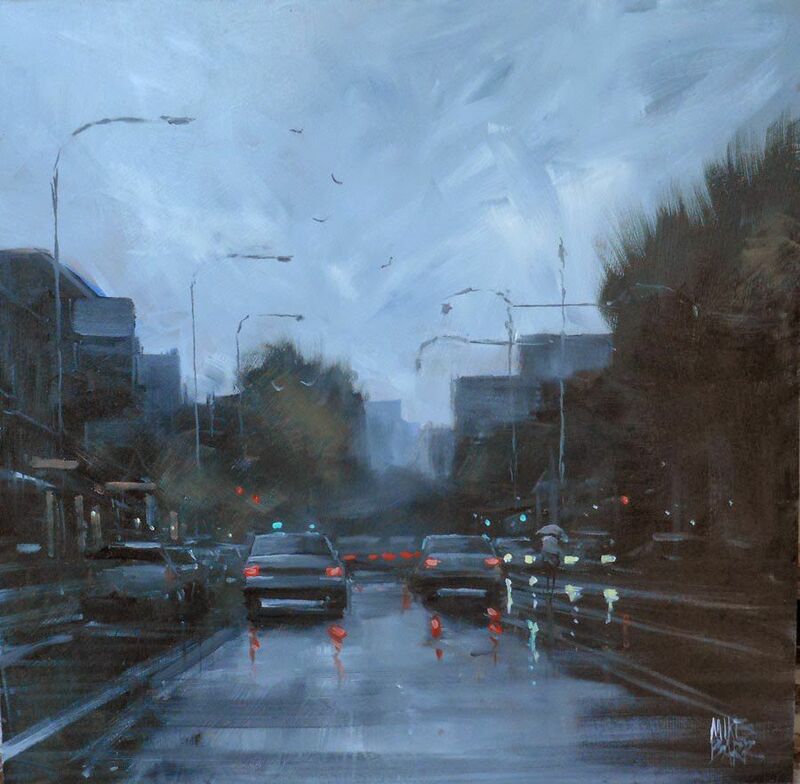 "I felt honoured to be sitting side-by-side with Australia’s greatest artists in this historical award-winning book". 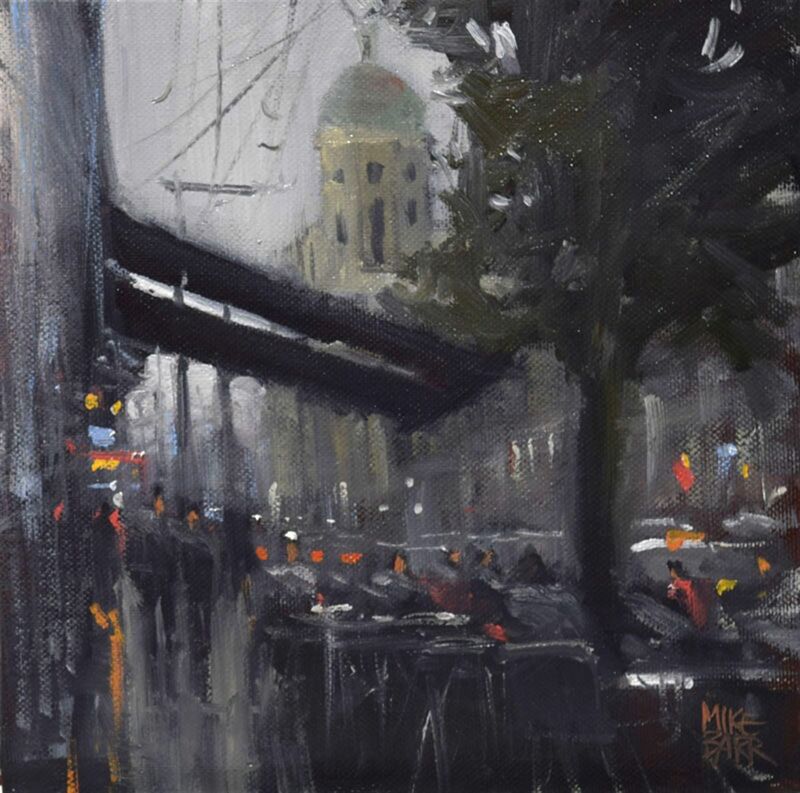 As well as participating in many solo and group exhibitions in Adelaide and Melbourne, Mike is a contributing author to both the Australian Artist magazine and the UK magazine, The Artist. 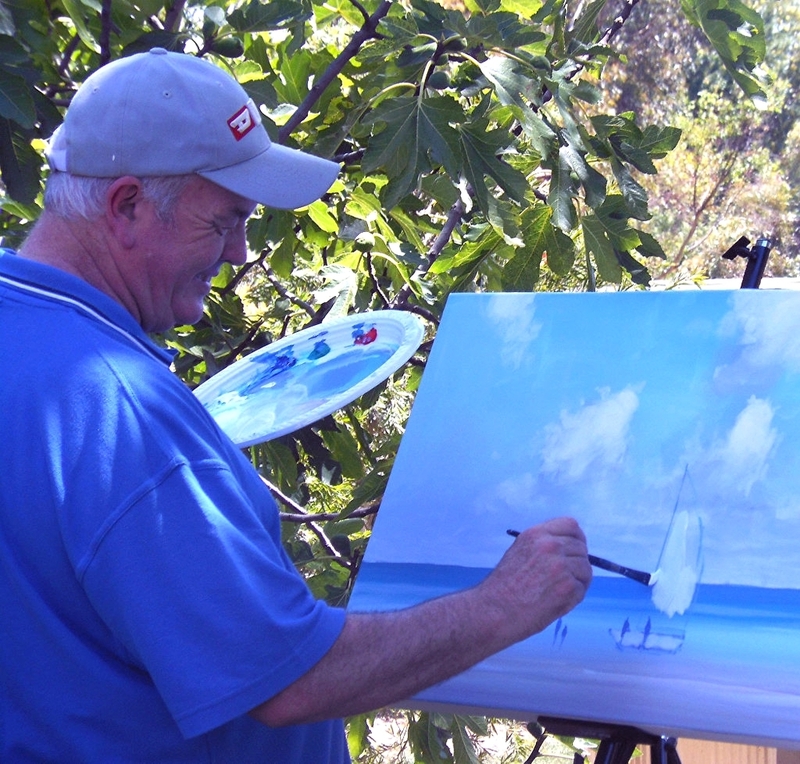 He has also contributed an art piece in the Medical Journal of Australia extolling the virtues of art in medical waiting rooms. 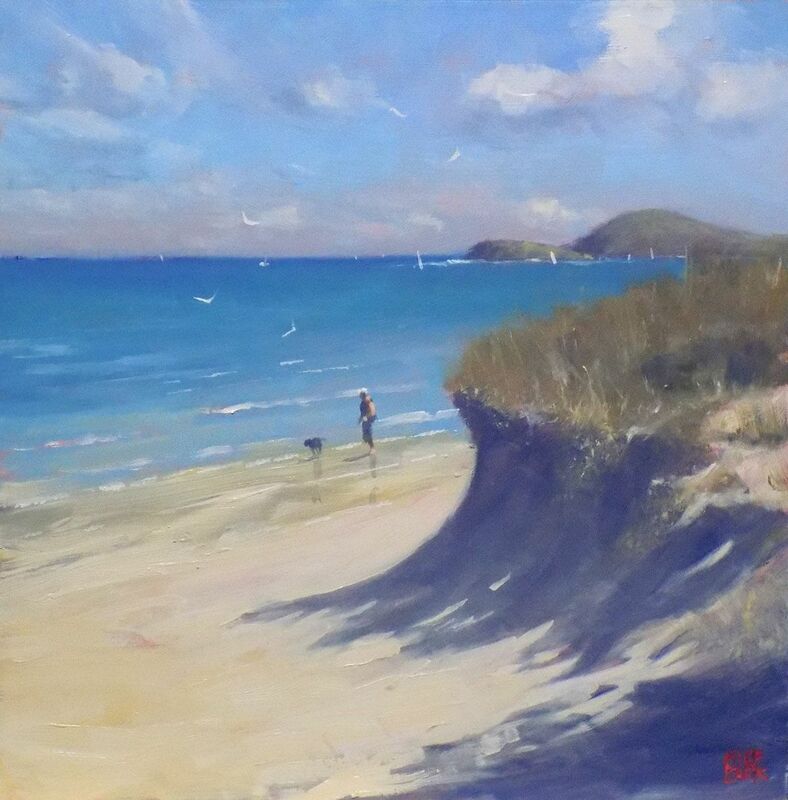 As well as being a practicing artist and art writer Mike has undertaken judging duties in the last couple of years. 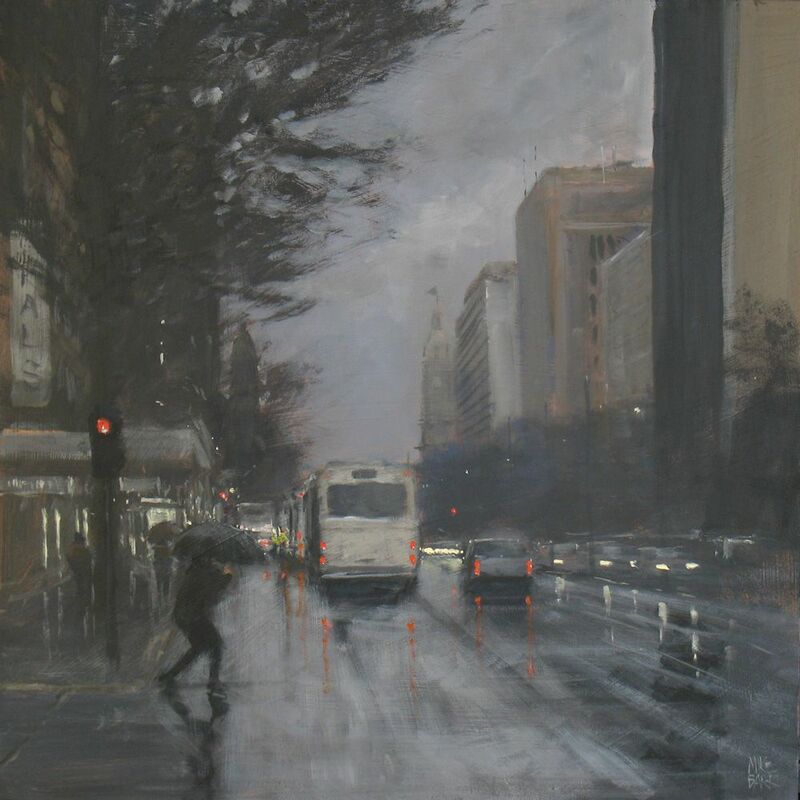 2011 - Demonstration article in UK The Artist Magazine. 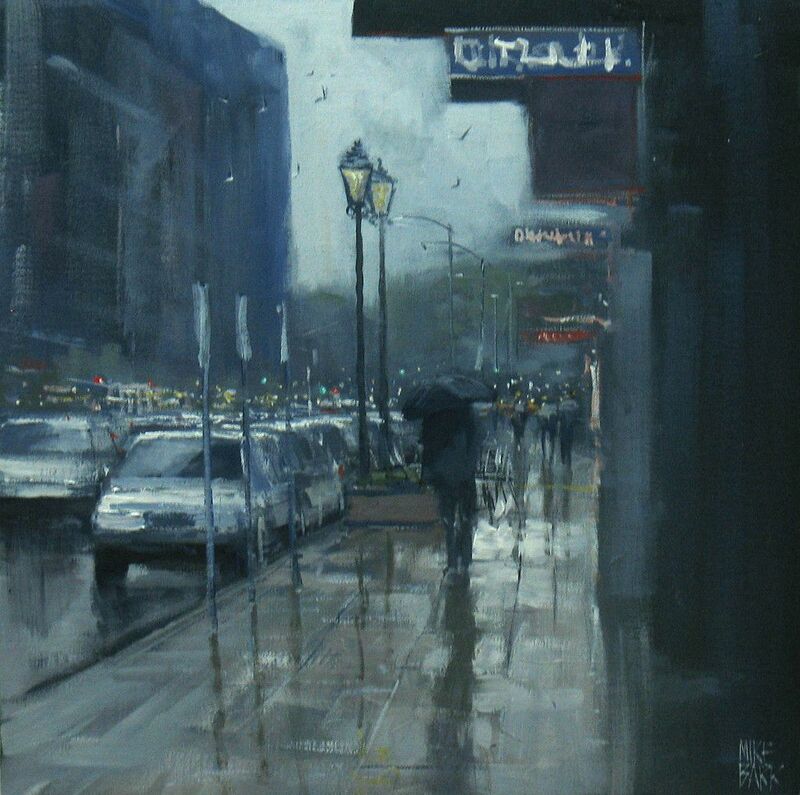 2011 - October 2011 Outstanding Acrylic award in the International Bold Brush award. 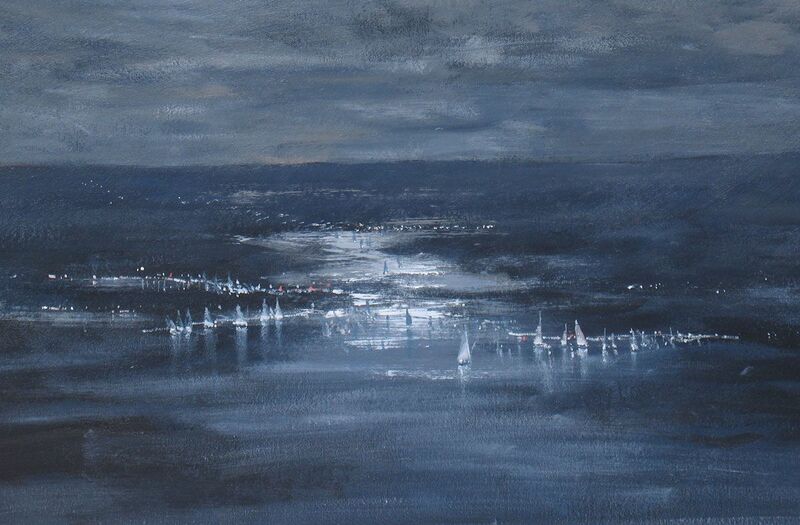 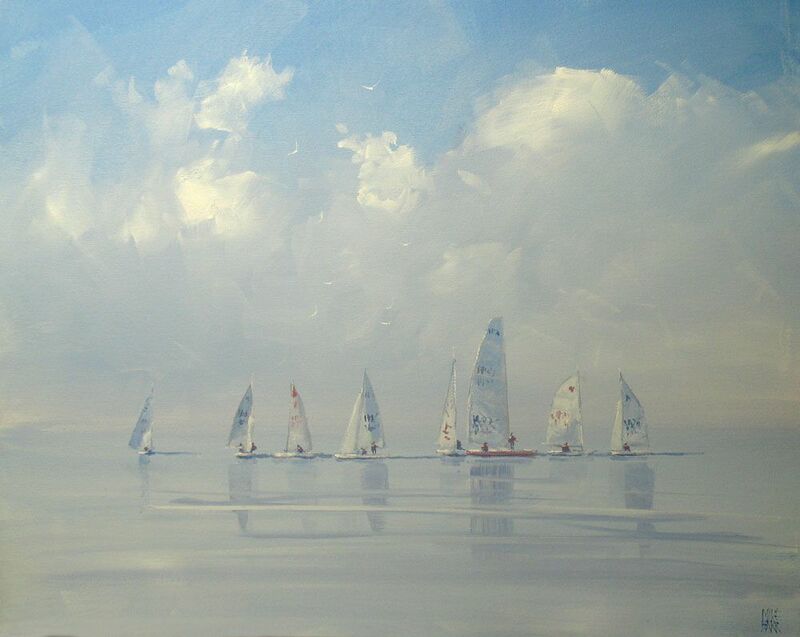 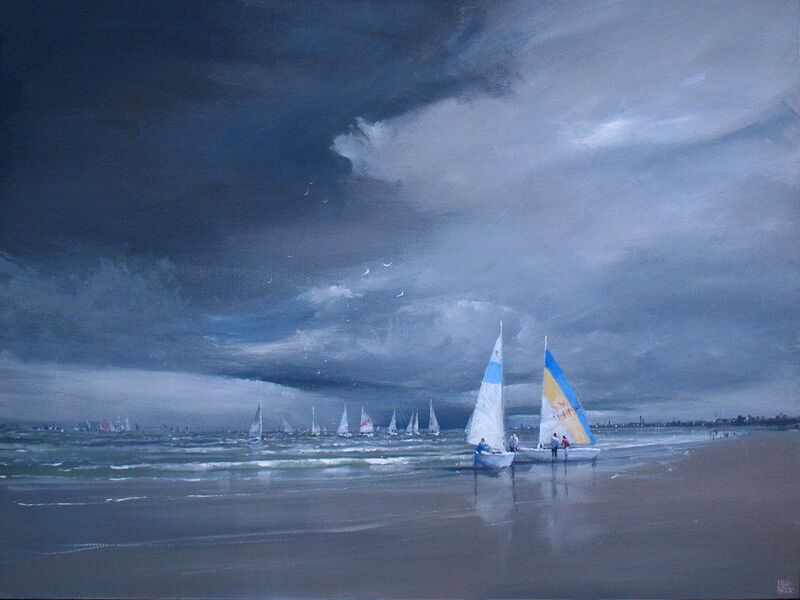 2011 - My painting Yachts in a Storm was recognised in the 3rd Watermedia Showcase and was published in the Feb 2012 Watercolour Artist. 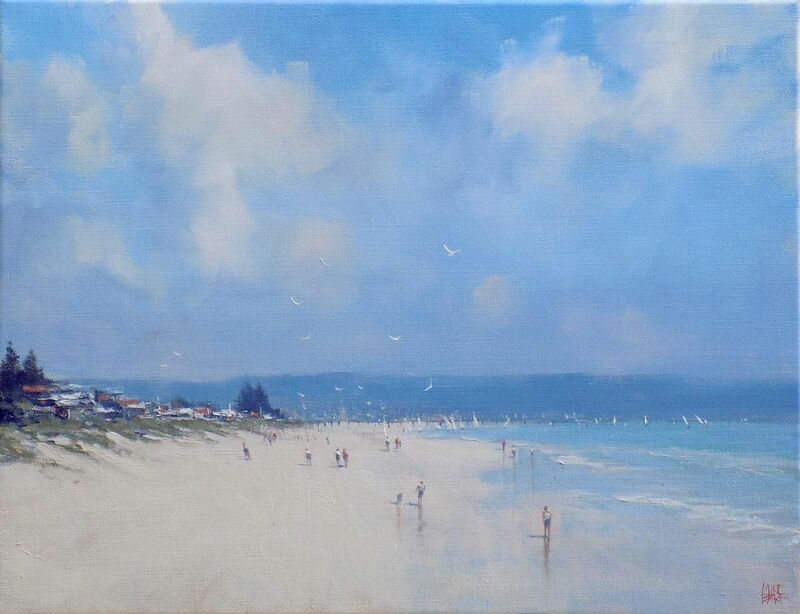 It was given an honourable mention in the competition and billed as one of the 36 Best Watermedia paintings of the year on the magazine cover. 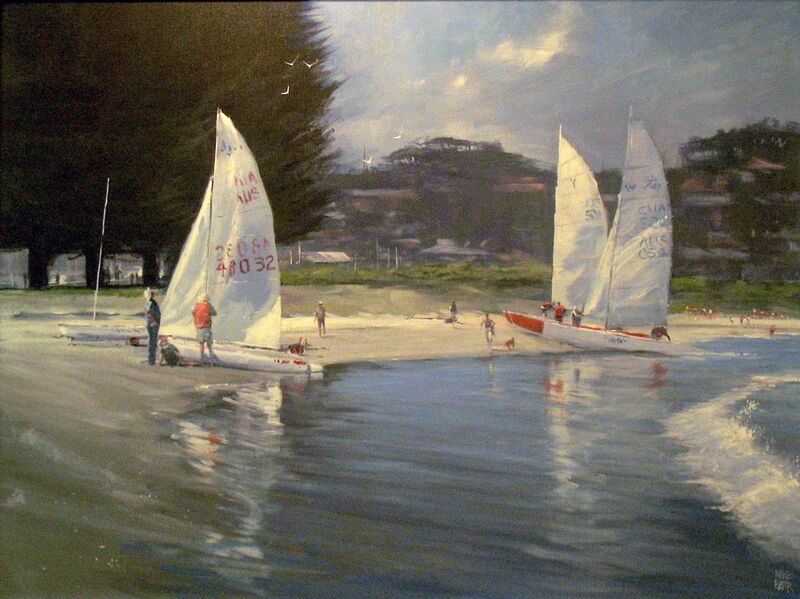 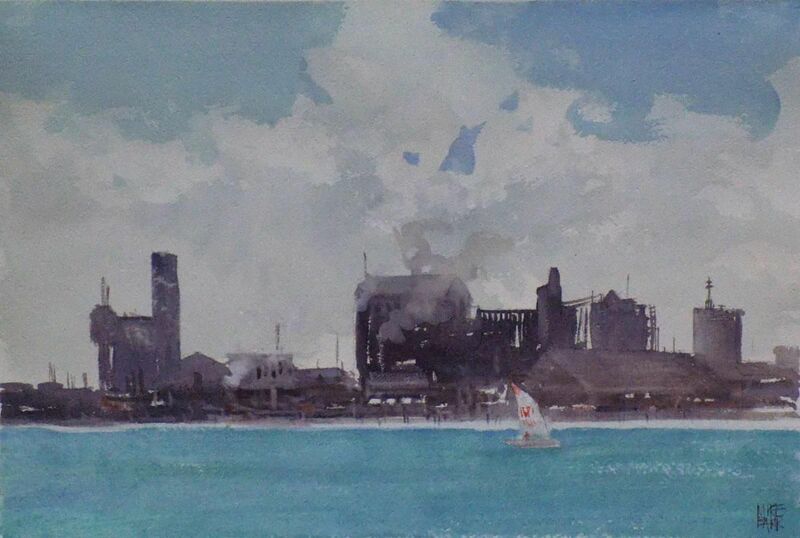 2004 - Judge's Choice Merit Award - Port Adelaide Rotary Art Show.